Hello, Everyone! I hope you’re having an amazing day so far. I wanted to start a new series including items that I’m currently loving. I will not be sharing Friday favorites on a weekly basis. Well, maybe some months. However, I do plan on sharing when I have some products that I know my readers will love. To start off the series. Today, I will be sharing five products that I’m loving. If you follow my YouTube channel. On a monthly basis, I share a Monthly Favorites video. My Airbnb had this hand soap and lotion and I will say that this product I was in love with the first time I used it. I plan on finding it in the states and keeping it on hand. I wash my hands a lot and I love having soaps handy that I love and are more of a mature scent. I love that this scent smells unisex. I rave about having a power bank and honestly believe that it’s a must-have. I take care of a lot of stuff personal and business on my phone. Plus, love Snapchat and my phone would always die in the mist of fun. I’ve had this power bank since attending blogger bash. Not sure if I shared this story with you guys. However, my phone died right in the mist of BabyPoolza and my fellow blogger came to save the day. Truly thankful for her! She had a multiple port charger power bank with her and I knew the first order of business for me was investing in a power bank upon my arrival home. I will say that I love this power bank and it’s truly a lifesaver when your entire family has a phone. It also works for iPads as well if you need to keep it charged for kiddos. It’s back to school time and meal planning and crockpot dinners are back in a rotation. I love that cleanup is a breeze with these slow cooker liners. They’re very durable and keep the mess in the bag and not all over your crockpot. I would suggest stocking up on them during the fall months. For some reason in my state, they’re harder to find during the summer months. I am a huge fan of essential oil and peppermint essential oil is one of my favorites. I love you can add a few drops to your water if you’re having motion sickness while on a plane or cruise. But it’s also great to add a few drops to your shower if you’re feeling stuffy. Once I started my healthy eating journey. I cut out all sugar and now that I reached my goal I started to incorporate a healthier alternative. Plus, since fall is right around the corner it’s time for my daily chai lattes. I typically add about a half tablespoon to my lattes and they taste amazing. I will say that I’ve been able to find organic coconut sugar at my local Marshalls and T.J.Maxx. I hope you guys enjoyed this post! 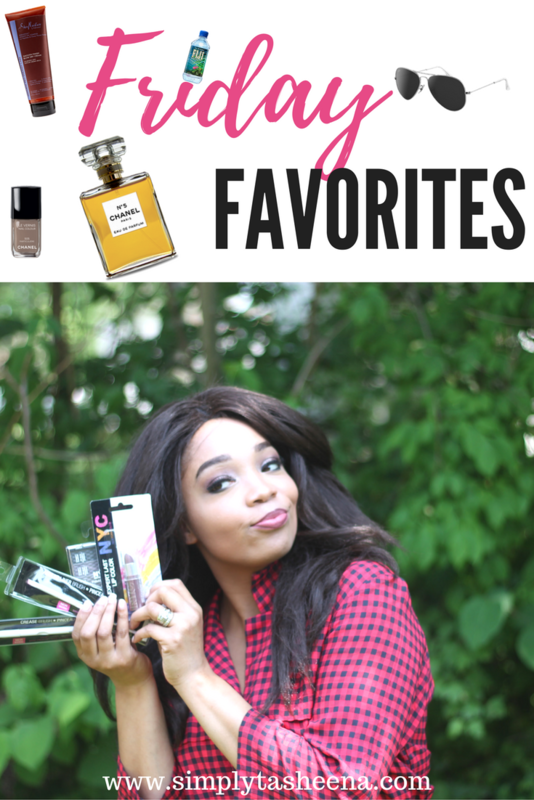 I look forward to sharing with you guys my Friday Favorites! Do you have anything that you’re currently loving? Let’s keep the conversation going in the comment section.